Each month, a New Moon opens a waxing cycle favoring energy to initiate until we reach the Full Moon that opens up a waning cycle allowing for correction, reflection and release. LunarOScopes capture the forecast of this natural rhythm, timing when and what specific area of life your Sun Sign benefits by feeling good about what’s beginning or concluding. Waning Phases favor to let go, review, redo, and heal energetically throughout one half of your Zodiac Pie until the 3rd New Moon of Spring 2016 arrives 04 June in Gemini. This Full Moon conjuncts the Mars Retrograde in play, while we find Mercury Retrograde is stationed in Taurus, turning direct 22 May- making for a volatile and extremely potent force in potential play for release. 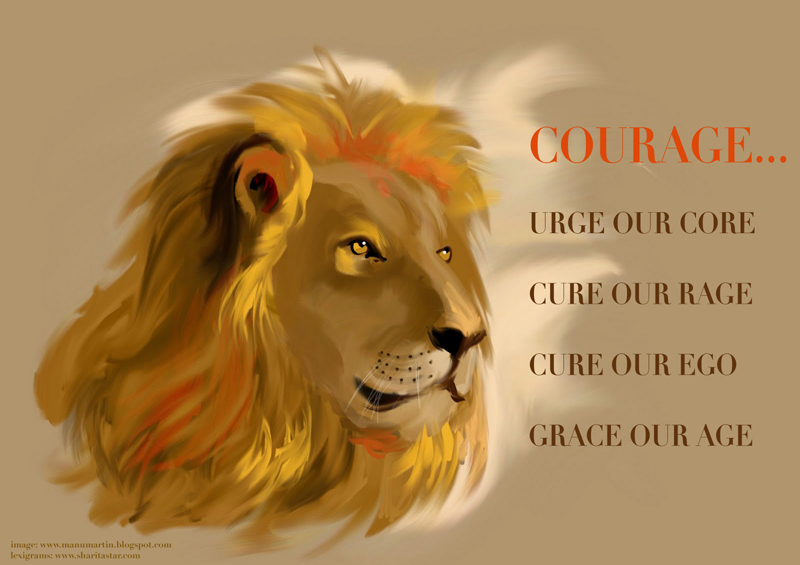 Emotional outbreaks are wise to be aware of, and courage is extremely required. Philosophies, beliefs, spiritual values, or learning you hold dear- ask you to seize this intense opportunity to reboot their synthesis. As long journeys or travel call, using your common sense over any kind of anger reactions is best concerning them. Using your wisdom is the only way to peace. Rebirth generates strong feelings to allow you to recognize genuine wealth is not only the luxury of your overall financial picture. As conclusions now arrive from the depths of your core to let go and never look back, find the reasoning and leave emotional outbursts out of your patient equation. Let go and reconsider who is the real deal concerning your partnerships -business or personal- as plenty of decisions surrounding them will now be revealed. You’ll want to utilize calm and clarity and not become jealous, emotionally frustrated or angry concerning what is in the process of release. Reflective and renewing light shines upon your routines and service to self as well as others in this world. With so much in already in healing mode for you, this will not be a time to take a gamble- but truly find your warrior presence that calls you to feel accomplished about letting go of old habits. Look to completing current projects as creative changes are now upon you, whether these be with children, brain-children or old love affairs. There is a great intensity that you will act upon concerning them, so unite with wisdom to make your stage bright and take a bow with courage as you persevere. Allow your imagination to flow within your home and family life, involving some literal cleaning up around the house, as you significant things may need repairing. Watch out for any environments that may have a hot head around them, so keep your distance. Overall, politely nurture your emotions. Refreshed thinking asks to look at the bright side your thinking and expressions of it. Honor complete reflection for your mindset -great benefits are received by writing things down- as you are determined to finish. If challenges arise provoking anger, work with them courageously for peace of mind. Surrender and fully let go of possessions and material things you no longer need to value, which may also be a source of how you bring in your daily dollars. This will not be a time to give in to feeling frustrated about what is under review. Know wisdom is what you need to accomplish these goals. Intense energy is now ready to release the old mask you have been wearing to the world, your first impressions of it and your appearance. As tired approaches to life exit -taking your time and being extra mindful is what allows for success- holding on to anger will explode in outcomes you can avoid. Honor your solitude and deeply working within will allow your intuition to benefit now, so take this private time. Important messages may also arrive from a very activated dream state. Anxiety may surface so be sure to have plenty of your patience on hand to not any outbreaks to consume you. Opportunities to refresh and release find you placing attention upon friends, groups as well as your future hopes and wishes. Say yes to unexpected invitations to get out in the world, but exercise caution and common sense in all of your activities. Avoid the company of jealous or angry friends. Your career and public life resets its’ recognition and rewards, as your responsibilities here now find powerful and absolute conclusions to arrive at across the board. Utilize vigilance as you go about examining the structure of your life, and it will be time for your wisdom to serve you to the highest. Please like & share LunarOScopes on your favorite social media! Sharing is Caring! Happy Happy New Year & Birthday Maya! If you have been a loyal follower and music fan of Maya Azucena, you already know she has reaped stunning rewards from her innate musical talents. What we have all witnessed during her 8 Personal Year than spanned 2015-16 has been true to it’s “timing is everything” forecast that indicates a soul is able to reap a significant harvest, stability, and ultimate recognition in the life, and especially where they create structure through their career and public life pursuits and ambitions. What promises to unfold for her now during her new 9 Personal Year ahead? This incredibly gifted singer songwriter, activist and philanthropist will be taking all she has planted over the past 8 years since 2008 and take her recent harvest energy to the next level. Get ready to watch her soar with the courage we know she profoundly has to the Universal Nines during this 9 Personal Year cycle 04 May 2017- 04 May 2017. While a 9 Personal Year marks a time of shift in the life where conclusions, wrapping it up and endings are seen, the energy of “to the 9’s” is equally ever present. 9 energy is a powerful force that elevates one to further fame and celebrity when it is being channeled in positive ways. The practice a person needs to possess in their 9 Personal Year to reap them successfully is that of courage. Looking to how a current numerology forecast connects the dots back to one’s natal astrology chart, this now current cycle for Maya engages first and foremost in her area of creativity and abilities to express herself on the stage of her life. Mars is the planet in charge of the 9 vibration. Mars at present is in current transit in Maya’s 5th astrological house, the one that is the area of creativity, children, and brain children of all kinds. This also the area of life that guides over love affairs, of which we will see plenty of her returning back to projects that are collaborations with other artists she truly appreciates working with. This new 9 Personal Year starts off on a reflective note until 29 June for Azucena. Where she’ll soar with all that amazing courage she possesses, will be more than amazing to witness as the later part of this year unfolds. As the current Mars Retrograde asks for reflection, it transits back over her natal Neptune in Sagittarius. This natal planet placement of Neptune is the very reason she is innately blessed with being a very special musical muse. Mars Retrograde now requests she revisit old creative and artistic projects that have been left unfinished. What can be reworked and recreated from these efforts, will end result in some absolutely outstanding results. Be ready for more magical music from Maya that will continue to bless us all with her natural gift of healing and light to this world. September 2016 brings the full on force of taking this current 9 year to the universal masses, and by October 2016, there will be brilliant new beginnings that we will naturally see emerge from her continuing innovative and original works. While a plenty of letting go is favored until she enters her 1 Personal Year in 2017 upon 04 May, she’ll be in equal preparation during the next 12 months of making the space for the new ground and breakthrough ways her career will intensely shift at that time into even more powerful new directions. 9 Personal Year Cycles ask for anyone to be the Warrior in their life as they navigate through it. And we all know, Maya genuinely understands those Warriors, one of her riveting tracks from Cry Love, very very well when they need to come out to play. As it is always said, Stay Tuned! The Best of MAYA AZUCENA is yet to come! MAYA MEANT TO OWN MANY AMOUNT O’ TON O’ MONEY NOTE & TONE. Listen Back to the Archives! Interview, 11 August 2012, No. 8 What’s Your Sign? I Have Your Number! Remembering to give gratitude for what you value opens new doors to rely upon as increases to your earning power are now up for review. Negotiate the best you can until 22 May as ways to work with different routines are also on the table within your career. Time in solitude will be necessary. Your approaches to life seek to begin again, as the world is ready for your appearance to transform- but reassessments equally are in play as rejuvenation time is now. Your children or creativity are involved, offering ways to shift your beliefs. Changes also surround your wishes and future goals. Rewards unfold as new answers speak from your solitude and inner process. Dreams contain valuable information for your waking life, as review time here is of ultimate benefit during this month. Connect the dots to what is happening at home regarding transformation. Reflection is favored in your career. Future goals ignite along with your hopes, wishes, new friends, organizations and groups- while you equally reconsider what is already established here. Accept unexpected invitations to mix and mingle, for there are ways you change your mind about your partnerships, allowing you to learn and grow. As your career moves to find recognition and reward, reconsiderations equally are in play concerning your public life. The value of your earning power along with your habits and routines are equally involved. Overall, you have new ways wealth seeks to bring forward transformations for you. Powerful changes surround your philosophies, as education & spiritual pursuits find you journeying afar, as well as revisiting where you have already traveled. See how your approaches to life will call upon your creativity to be involved in new appearances. Your partnerships will also ask for attention. The most regenerative new moon of the year is here, asking to embrace abundant rebirth concerning your overall state of wealth and sexuality as you review. Time will be required in solitude to process what you need about what is equally renewing at home. You are about to serve the world differently. New life emerges within your business or personal partnerships, yet cross your t’s and dot your i’s when it comes to signing legalities into being, as you find old relationships returning. It’s time for your future goals to shift, requiring a different state of mind. Overall, your beliefs are reshaping as well. New beginnings speak to your ability to serve others, your health, habits and routines- activating change as you equally review them. See what works closely with career changes, seeing to add value to your earning power. It’s a potent time to know this will call for you to nurture more at home too. Your children or brain-children capture your attention, while revisiting unfinished creative adventures really have you feeling even better about working on them. What you are learning the most brings significant changes to your appearance and approach to life. Your mindset equally is receiving a reset. New life flows within your home and family life, and if déjà vu finds you, listen carefully to it. As the calling to review is equally underway for these closest environments, connect the dots to the power of your transformation, asking for some time in solitude. There is a value you’ll be happy you listen to. Your state of mind is ready for brainstorms and your abilities to communicate them. Reassessing established ideas is equally favored, seeking your reflection concerning your partnerships and what your future goals hold. More pieces to the new you in progress of unveiling itself are further revealed. Are You Properly Prepared for May 2016? Courage. If your are a fan of the Cowardly Lion from ‘The Wizard of Oz’ there is a plenty you can reap in reward from listening to his advice over the next couple months as our planet of drive and action takes a break, and asks us all for reflection in The Virgin. Mars has been journeying within Virgo since 10 November 2011. Perhaps, you’ve taken note of the sense of excitability emerging within this area of your Zodiac Pie. Our Pioneer planet does not hold back in the dynamic action that is moving energy here in all kinds of ways. As much as Mars loves to get things going, he equally draws forth conclusions to arrive down here below from wherever he is traveling within our celestial skies above, and sometimes, these are delivered in abrupt and rash ways. As Mars reached 23 degrees Virgo on 19 January, his station occurred as he prepares for Retrograde motion on 23 January. Mars won’t move back to the 22nd degree of Virgo until 27 January, then his backwards journey will take him to 03 degrees Virgo. Here, he will station once more at 03 degrees Virgo on 07 April before going Direct 13 April. When any planet is within the station surrounding retrograde activity, it can bring on some intense energies down here below. This entire passage marks a profound time to take a look at motivation and “what makes you tick” in the area of life that these degree points in Virgo rule over from both the natal birth chart and collective perspective. Mars prefers to convey his energies in “his own way” and can appear selfish from time to time. What is important to innately understand about “self” at this time is the difference between the attention to self and selfish acts. The first is a true response that is a gift to our Soul, while the latter is pure reaction that tends to create storms within our Spirit. The natural energy of our Pioneer planet drives us to do things and at times do them rather quickly. Yet, under any Mars station and retrograde passage, it is in all of our best interests to sloooooow down, and take up with a patient pace. As we all take up further within our Winter’s retreats, certainly there couldn’t be a better time for some Mars reflection to take place. By the time it is complete 13 April, wowo, if your free will has chosen the SILENT LISTEN, what keys you will then have to unlock your Spring! As Virgo energy is at its’ best when all doubt is erased, truly it will be a time to come charging out of the gates, completely refreshed as Mars’s motivation will be ready to move forward again. This Mars Retrograde will tie up some interesting energies connected to what Saturn brought to the surface to be responsible for when he was transiting here September 2007 to October 2010. Virgo is the sign of the auditor, and those collective details that were examined and scrutinized over that time now get a true last once over. There is a discipline that will unleash itself, and whatever lessons did not fully come to pass from Father Saturn’s time here, Mars will now finalize the details of these deals. So too, will you see these same kinds of activity from wherever Virgo seeks to be of service and brings a natural understanding to your life. Your natal birth chart that is calculated from your time of birth grants the true individual view, while the simplicity of knowing your sun sign casts the outer picture for how Mars’s reflective request also urges to speak with you. Remember, even as Mars goes Direct again upon 13 April, he will take all you have reassessed here moving forward to remain within the Virgo slice of your Zodiac Pie until 03 July, when he enters Libra. A little quick guide is below from the collective perspective on which area of life Mars presently will request your courage to unfold as he journeys backwards for a pass. If you know your Rising Sign/Ascendant (determined from the time of birth) then look to how 23 to 03 degrees Virgo precisely sits within the natal birth chart for closer insight to how you can make the most of rising up to your core and grace. Mars Retrograde will test our patience and truest sense of how we handle aggression and penetration within our lives, being he is -aside from the role of The Pioneer- the true warrior within the Zodiac. Yet, instead of reacting to any pressure that may come our way in conflict, there is another innate energy of Mars that will bring us the best results as we reflect. This, simply, is the response of COURAGE. URGE OUR CORE, CURE OUR RAGE, CURE OUR EGO, GRACE OUR AGE. May rising up in courage bring you the brightest blessings Dear Stars as you discover and reflect upon all of your whys. Namaste. READ UP MORE on Mars in Virgo! And…. a little more word from the Lexigram wise on…. GO TO A DARE- SOAR TO AGREE! A Quick Word on The Pioneer…. Are you ready for some action where The Virgin is of service within your Zodiac Pie? You will now be seeing quite a bit of activity in this area of the life. What makes this passage a bit different that any regular Mars transit which normally last about 7 weeks, is that, our motivating planet will not leave this sign until 03 July 2012. Remember all the collective changes that unfolded from Saturn’s visit here in 2007 throughout the fall of 2010? It’s time for Mars with his penetrating energy to make things truly take up with dynamic activity that will bring more conclusions to the situations Saturn requested we pay closer attention to over this period. Knowing the economic implications and realizations that drummed up alone- if you thought this time has passed and was never to return, think again. There are a many completions and endings to what we know and are comfortable with that still await to unravel. Why will Mars be journeying so long with The Virgin? As he reaches the 23rd degree of Virgo, upon 23 January 2012, we’ll then be witnessing another Mars Retrograde that will last until 13 April 2012 at 03 degrees Virgo. The last time we saw Mars not looking where he was going was back over the Winter of 2010. So here we are, as we turn into the “infamous 2012” date upon the upcoming Universal New Year, with Mars asking for our further examination of those details within our lives as he takes up time within the sign that loves to audit, discriminate and fuss about everything. Being Virgo is the sign that equally loves to be well-mannered and of service, when this focus is chosen, the rewards of this passage are all the more easily found. Mars is known as the warrior planet, and wherever he is within the Zodiac sky, we are wise to apply patience to this area of the life down here below. Mars also brings forth conclusions and finalizations, so these too, can be more than expected. So, while in Virgo, tests will be placed here to see how well one handles situations of conflict. As always, responding with courage verses reacting in aggressive action will bring calm to what is meant to change in this area of the life. There is a collective calling to apply disciplined energy to all that Mars logically will select for us to bring more efficiency and practicality to within our methods of desire. One thing that will be strongly felt over this passage is the request for simplification and further organization of what Saturn already requested we take responsible note of here from 2007 to 2010. So, what about you? Just where will you see this intense passage bring inevitable change to your life? A quick guide from the collective vantage point will show one affect from this longer than normal Mars transit. Remember too, if you know your Ascendant (Rising sign) this too will apply to your natal chart. However, it is always the professional analysis of your natal chart that will exactly determine how any current transit is personally requesting your attention to better know thyself. More to come on the 23 January on how to ideally handle Mars Retrograde in Virgo 2012. In the meantime, take extra pause where Virgo politely requests you to slow down, and listen to what wishes to become more motivated here. With any activity from Mars, if we don’t take that time to be silent, we will miss tremendous opportunity to reap the proper changes within our lives, which will be urged to unfold quickly. Namaste, Dear Ones.